Indirect Participants at this meeting within the “Great Conversation” across the Ages (in the order of their appearance): Caravaggio, Leonardo, di Lampedusa, D’Azeglio, Machiavelli, Ford, Manzoni, Peter Paul & Mary, Shuman, Galkenende, Eidenauer, Churchill, Shuman, Monet, D’Estaing, Berlusconi, Santayana, Marx, Pius IX, di Lampedusa, Mussolini, Caesar, Petain, Hitler, Bossi, Dante, Manzoni, Beethoven, Napoleon, Garibaldi, Ferdinand II, Dawson, Victor Emanuel II, Barroso, Buttiglione, Prodi, Iris, Marcus Aurelius, John Paul II, Michelangelo, Innocent X, Boal, Freire, Mongili, Tonon, Orefice, Napolitano. Section 1: a brief follow-up dialogue on the previous presentations by Ernesto Paolozzi and Emanuel L. Paparella on the nature of liberty and the nexus between Italian unification and emigration. Section 2: “The European Union’s Constitution: the Cart before the Horse?” A presentation by Emanuel L. Paparella. Section 3: “Games and Theater to Foment Change in Work Places: TEJACO –The Innovative Multilateral European Project Leonardo da Vinci.” A presentation by Maria Buccolo (translated from the Italian by Emanuel L. Paparella). In section one of this 23rd meeting of the Ovi symposium Paolozzi and Paparella renew their ongoing dialogue on the themes of the nature of liberty and the nexus between Italian unification and Italian emigration. In section two Paparella follows up on the previously made comparison between the unification of Italy and the unification of Europe identifying the cultural problematic which needs to be analyzed and avoided for a successful integration of the various national cultures of Europe. He insists that without a clear cultural identity and an enlightened policy for the integration of its immigrants, who are not originally Europeans, the polity called European Union will run the real danger of building its future on sand as various prophetic voices have already alerted us to. In section three Maria Buccolo makes her debut in the Ovi Symposium with a presentation of a very interesting multinational European project based on the pedagogy of the theater, the TEJACO European intercultural project, which was initiated at the University of Florence and of which she is part. The project was inspired by the theater of the oppressed of Augusto Boal and Paulo Freire. The purpose of the project is to facilitate an inter-cultural dialogue and the integration of immigrants to the EU in the very places where they work. Perhaps it is such innovations which are necessary to recover in the first place the forgotten cultural identity of Europe and avoid the mistake of constructing a polity devoid of a strong cultural identity, a theme further discussed by Paparella in section two; and secondly, to avoid the mistake made in the US by the likes of Henry Ford who would stage plays in his automobile factories (“The Melting Pot” being one of them) where the message to the immigrants working came through loud and clear: that unless they rejected their original culture and language they would never be successful in a modern progressive America dedicated to industrial production and consumption. That was a great cultural mistake rejecting multiculturalism in the name of profits and the bottom line and resulting in an artificial superficial integration via a forced assimilation and abetted by a sort of cultural imperialism mitigated only by an imaginative Constitution which proclaimed common ideals but deluding itself that what is the most modern and the most progressive is always the best and worthy of imitation. There is much to ponder and discuss in Buccolo’s presentation. Two pertinent questions worth exploring, were such a discussion to ensue among participants and/or readers, are the following: “can cultural instruments ever be neutral or completely objective? And, should multiculturalism include the cultures from which immigrants originate while aiming at integration to the host culture? Paolozzi: To clarify the issue placed on the table by Paparella on the natural and historic foundation of freedom, I need to point out that in the interview to La Voce di New York I was addressing by implication, and not frontally, those who maintain the superiority of equality vis a vis freedom. Therefore, I was saying that man is born free, then he becomes democratic, or socialist or something else. Generally speaking, I think that, like art for example, liberty more than a natural law can be defined as a category of the spirit. We are all born artists, then within history each of us creates different forms of art, Caravaggio is as much an artist as is Leonardo, albeit they are different kinds of artists. I think we can say the same for art. Humanity eternally builds its own historical freedom. Sometimes it fights to establish a constitution, other times to abolish it. It is possible to manage a very good constitution dictatorially. A country such as England which does not have a written constitution may enjoy a high level of liberty which cannot be fully expressed but, fortunately, it cannot be completely erased either. Here we arrive at the issue of judgment and responsibility. We cannot establish a priori which is the better State. One judges as one goes along and thus each of usi s responsible for his judgment and his actions. Perhaps we can agree on this consideration, we can refer to the Gospel which maintains that God made man free. In that sense I think that freedom is a natural law. Rights are always historical, liberty is eternal, just as eternal as its necessary opposite. Liberty is the eternal overcoming of illiberality within the unpredictable development of history. On the second issue, I will say that I was not referring to the drama of emigration which took place in Italy after its unification. Rather I had in mind the sufferings which the populations of southern Italy had to undergo during the Second World War and the subsequent setting up of a new State which was too rigid and quite often deaf to the problems of those lands. And this without mentioning the loss of prestige of a city such as Naples which still today pretends to be, but it is not, a European and a world capital. But history was not frozen, as it happened after the American civil war. At the end of it all, the better Neapolitans, the better southern Italians, preferred a new liberal road to the policy of power for power’s sake of the old Kingdom of the Two Sicilies. There was no choice. Without unification Italy would never have become a great nation as it is, after all is said and done. The same problem can be discerned nowadays regarding the unification of Europe. Either Europe integrates itself (in a different mode from the way it was achieved in Italy or Germany a century and a half ago) or the small countries which comprise the continent become irrelevant in a globalized world. This would be too bad for the entire Western civilization, as Paparella maintains by implication in his reflections on the Christian patrimony of Europe. Italy has gone through some difficult times with the advent of the Lega Nord, a movement which is after all a racist movement, and which fortunately is coming to an end. It was successful especially among the most ignorant segments of the population of the provinces of the north (much less in cities such as Turin, Genoa, Milan, Venice), as it has occurred at the same time as the neo fascism of France, going on as we speak. In Southern Italy, as a reaction some neo-Bourbon resurgences have occurred, but they too are exhausting themselves. These tendencies can be discovered even in the sport of soccer, and this I hate to admit because I love soccer and even played it as a young man. But this sport has contributed to generate hatred between Italians; a problem this that politicians and historian undervalue because it does not fit in their neat academic paradigms, but the issue remains, as indeed it remains in many places in the world, as the issue of regional fealties and the competition between regions and cities. However, it looks that on the political level it is in an evident retrogression. What we have to gamble upon is in the ability of remaining Italians, Americans, Europeans, Asians, Africans while remembering that we are all human beings, with the same joys and the same sufferings. We are all participants in the same symposium just as we are doing, as best as we can, via the magazine Ovi. Paparella: Thank you Ernesto for the clarification. Indeed we concur on the notion that man is born free and endowed with the Crocean category of the spirit called liberty. That is practically equivalent to what the founding fathers of the US meant by “inalienable rights” mentioned in the American constitution. It’s a different name but the concept is pretty much the same; that is to say, man is born with those rights, they accrue to his human nature, and no state can confer them or in principle can arbitrarily take them away. It is true that the notion of inalienable rights was not known to the Greeks or the Romans who had high concepts of liberty but not that of inalienable rights as constitutive parts of human nature. They were discovered later on as embedded in the Judeo-Christian notion of brotherhood under a common Father. Which of course makes it all the more hypocritical that those rights, after being enshrined in a Constitution, were then egregiously denied to a good portion of the US population declared not fully human; an issue that was only resolved some eighty years later with a bloody civil war which would have been unnecessary had those inalienable rights for all citizens been honored from the beginning. Finally, to continue our conversation on Italian emigration, if I understand Giuseppe di Lampedusa’s message in Il Gattopardo correctly, when Tancredi says cynically to his uncle Don Fabrizio that “We need to change everything so that nothing changes” he is predicting that in the final analysis what will occur with the unification of the country is a changing of a king, the Bourbons will be substituted with another king from up north from the house of Savoy, albeit the latter will be a constitutional one, but that basically two Italys will persist: one poor in the south and one rich from the north, at least at the economic level, and the aristocrats while taking their honorable seat at the table of a different king will hardly change anything of a system of economic inequality based on class privilege. Mazzini’s dream of a democratic Italian Republic friendly to the cultural heritage of Italy never came to pass and had to wait 85 years to be re-proposed. In fact, economically speaking in 1860 things got worse for Southern Italians who, after the unification, were compelled by those same bad economic conditions to emigrate by the millions; which is to say, distributive justice, which ought to have strengthen a unified community or country, was sorely neglected. Instead, what was paid attention to was the slavish imitation of a rabid nationalism focused on real politik. My own grandfather had to emigrate to America at the turn of the 20th century but eventually returned to Italy after twenty years or so, which means he did not do so willingly; 50% of the Italian immigrants to America in fact returned to Italy. Of course one can rebut that the reaction of Don Fabrizio and his nephew to Italian unification was quite predictable; the tendencies of the class to which they belonged had never been very democratic and libertarians but rather elitist and excluvist, and Lampedusa no doubt inherited many of those anti-liberal attitudes, but on the other hand there is an element of stubborn, ironic cynical realism (some would say Machiavellianism) in the attitudes of the aristocrats of the Kingdom of the Two Sicilies as revealed in Il Gattopardo which were confirmed later on by irrefutable historical facts. One begins to wonder if the nationalism and unification envisioned by a Machiavelli were indeed the right dress for Italy even if mixed with a tinge of Roman universalism. D’Azeglio may have had it in on target when he said that “now that we have made Italy we need to make the Italians,” and here too we seem to agree that it is fervently to be hoped that the same mistake is not repeated by the political entity called European Union, for as Marx quipped those who do not know their history or cultural identity are bound to repeat it. You mention Ernesto the regional conflicts but I am afraid that regional rivalries are only a reflection of national rivalries in Europe which despite appearances are still alive in Europe. Reflecting on that one cannot but conclude that perhaps Italy was all along ill-suited to what turned out to be the straight-jacket of nationalism and an authoritarian central government, often leading to xenophobia and even racism, since in its historical experience its spiritual roots were much less restrictive and more universal: those of Catholicism, the Roman Empire, the Renaissance; all universal experiences which were shared with the rest of the continent. Perhaps the silver lining in all this is that it is exactly those spiritual roots that uniquely qualify Italy to guide and inspire the EU out of a latent nationalism and resurgent fascism, and this despite Mussolini and the Lega Nord. The question arises perhaps better expressed in Latin: EU, nosce te ipsum? As Manzoni aptly put it poetically, placing in doubt the vaunted glory of a Europe tinged with imperial Napoleonic nationalism parading as pan-Europeanism: “Ai posteri l’ardua sentenza [the answer belongs to posterity], or, as the more contemporary song by Peter Paul and Mary renders it: “the answer my friend is blowing in the wind.” It remains to be seen in which direction will blow the political winds of the political venture called EU. The European Union’s Constitution: The Cart before the Horse? In any case, this fierce opposition to the reference to Christianity in the EU Constitution effectively derailed its planned signing on 13 December 2003. It seemed that Iris, the goddess of discord had made her appearance on Mount Olympus on such a day throwing her famed apple on the banquet table. This was an embarrassment for the presidency of Italy’s Silvio Berlusconi at the EU Council of Nations. The Irish presidency which followed also failed to produce a signing. This was so because the foreigners now lived inside the very genes of the people who had invaded Italy after the fall of the Roman Empire. The pure Roman race as well as the pure Aryan race were chimeras pure and simple, an historical fraud perpetrated on the people; for Italians were now one of the most bastardized races of Europe, and all the better for it. But despite the bastardization, people somehow managed to live together in harmony because they could be inspired by certain ideals rooted in universal experiences such as the Roman Empire and the Catholic (the word means universal) Church. Dante’s De Monarchia reflects that reality and proposes it as an ideal. The ideal came crashing down in 1861 when the little Italy was founded, and I think it was Croce who pronounced that statement. This new modern nation was now bent on aping the nationalistic imperialism of the other nations wanting to pass for pan-Europeanism, and donning the tight jacket of a secular centralized nationalism contemptuous of regional differences, an experience to which Italy was never well-accustomed. Alessandro Manzoni, the devout Catholic and the greatest literary figure of the 19th century, had fervently hoped, with Beethoven, that Napoleon would restore those larger trans-national, cosmopolitan, European universal values, but they were both to be greatly disappointed. What was still at work, despite the proclaimed universal ideals of the French Revolution, was good old nationalism coupled with good old imperialism; a greater France masked as Pan Europeanism. Manzoni, however, despite his great reservations about Napoleon, saw no contradiction between being a good Catholic and being a good liberal and accepted a seat in the newly minted Italian Senate of the new nation. But he was the exception which few followed; for, to make matters worse, the Pope had retreated to the Vatican palaces as a sort of prisoner excommunicating all those who supported what he considered a usurping national secular State. So in the Pope’s eyes, the pious Manzoni was also a bad Catholic. Paradoxically, it was Mussolini who some sixty years later, while conquering Ethiopia a la Caesar, ignoring the protests of a feckless League of Nations, came to an accommodation with the Church by making the Vatican an independent State. The anti-clericalism of many liberal Italians was not diminished however and persists even today. It is an ancient grudge apparent in Rome more than other Italian cities and partly explains the strength of the Communist party in Italy. By the 1930s, with the establishment of Vatican City, one could have said “all is well that ends well” as far as relations between Church and State were concerned. The Italian State was legitimized in the eyes of the Church and Italians could once again be patriotic and good Catholics at the same time. But the demarcation between the secular and the sacred were still blurry. The Italian Constitution continued to declare Italy a Catholic country till recently when that proclamation was abrogated. Religion was taught once a week in public schools. Moreover, the proclamation of freedom of religion would have to wait for the Vatican II Council thirty some years later. Indeed, there was a snake in this heavenly garden called the New Liberal Italy. It was hinted at by the the nephew of the Prince of Salina in the above mentioned novel while he was still fighting for Garibaldi and his dream of unifiation, when he tells his uncle: “We need to change everything so that it all remains the same.” What did he mean by that enigmatic statement? Simply that what would happen in Sicily and most of Southern Italy, as far as ordinary people were concerned, is that one King (Ferdinand II of the Bourbon) would be substituted with another (Victor Emmanuel II of the Savoy), and things would return to normal. As it happened, things worsened. Rather than bringing unity and harmony and some kind of social justice to Southern Italy, Italian unification exacerbated the socio-political plight of Southern Italy; the industrial North was privileged at the expense of the agricultural South, giving rise to banditry for a while, so that by the turn of the 20th century millions of Southern Italians were forced to emigrate to the Americas or to Australia. It is not an accident that 90% of Italian-Americans have grandparents who emigrated from Southern Italy. It was d’Azeglio, an Italian patriot, who put it best with his famous dictum: “Now that we have made Italy, we need to make the Italians,” which is to say, the cart had misguidedly been put before the horse. Italy had been designed and built, and now the people were asked to simply accept the design of a few elitist politicians who thought that they knew better than them. Most of the one thousand patriots, the so called Red Shirts, who liberated Sicily in 1859 were university students, intellectuals and professionals, the elites of their society; this was hardly what one might call a populist movement. The people were merely asked to vote on the annexation. So Tancredi might after all have had a point with his cynical statement: we must change everything so that nothing will change. As it happened, what was constructed after the unification was a “little bourgeoisie Italy” composed of merchants bent on accumulating wealth, blissfully neglectful of the universal ideals of both the Roman Empire and the Catholic Church, of Humanism and the Renaissance, not to speak of cultural patrimony, values and cultural identity. They felt little allegiance toward the new Northern King (who did not visit Southern Italy till 1900 prompting the famous Neapolitan song “Come back to Sorrento” a thinly veiled allusion to his neglect of the South). And so the unity of Commerce and a Central Italian Bank, without the consent of the governed, did not hold water for very long, and the experiment with democracy ended abruptly sixty short years after unification with the advent of Fascism and the strongman Mussolini. After the Second World War Italy was proclaimed a Republic and became one of the original founders of the European Union. But what are the insights to be derived from this brief and schematic overview of the history of Italian unification—insights which may prove useful to the present day architect of European unification? The first insight could be this: a cultural identity of disparate people with disparate mores and even disparate languages (which reflect their culture and therefore are to be jealously preserved) cannot be imposed from the top down by elitist leaders, philosopher-kings with esoteric ideas. It has to come from the bottom up, democratically. Before drafting a Constitution one needs to listen carefully to the people and determine which are the universal common values that can function as a sort of cultural cement of their political union. Then one needs to obtain their consent. Not to do so and proceed with the formation of a united Europe without determining what does it mean to be a European is to put the cart before the horse. Shuman and his generation, not to mention Christopher Dawson’s The Making of Europe, were very aware of the necessity of a common cultural patrimony; that the cement for a unified Europe needs to be cultural, not racial, not nationalistic even if it be that of a hyper-nation. It needs to recognize cultural heritages such democracy, science, Greco-Roman civilization, Germanic concepts of freedom, Christianity (which when authentic is always universal and trans-cultural), the synthesis of Greco-Roman civilization and Christianity which is Christian Humanism and the Renaissance. A Central Bank and the promise of prosperity, or Machiavellian concepts of real-politik, or universal soccer games on Sunday simply will not do. Even a common language could not prevent a civil war in the US. That civil war proves that it is dangerous to put ideals in a Constitution which are not meant to be honored. The people will not stand for it forever, for as Lincoln put it: one can fool all the people some of the time and some of the people all the time, but one cannot fool all the people all the time. Were one to glance at the very first article of the EU Constitution one would read these words: “Inspired by the will of its citizens and the European States, to build a common future, this Constitution establishes the European Union...” So the second insight to be derived from the mistakes of Italian unification is this: that unless those first words of the EU Constitution are really meant and honored in the future, then that common future will be built on sand and one is perpetrating a great fraud on one’s people. One notices in that first article that the will of its citizens is declared the original inspiration; the will of the people takes precedence, as it ought in any democracy worthy of its name, over the will of its elitist aristocratic leaders, and the will of its member States. Assuming that the people have already been listened to, the member States need to let people ratify the polity that they have created in their name. A Constitution is not a treaty among States but a social compact among the people.Those people have a past as well as a future and that past needs to be known and respected before forging a viable future. A car without a rear-view mirror may eventually end up in a ravine. The French, the Dutch and the Irish, voted down the Constitution in a referendum. Finally, let us take a brief imaginary look at the symbolism and the semiotic signs present at the very signing of the Constitution on 29 October 2004. In the first place one ought to note the silence of the people. That is a powerful sign in itself. There were neither demonstrations, nor festivities among the people at this august event; an event overshadowed by the Borroso/Buttiglione crisis in the EU Parliament. Could it be that Iris, the goddess of discord was there, invisible perhaps, but there nonetheless to continue the mischief she initiated on December 13th 2003? There were other disturbing signs. Those who are familiar with Rome know that piazza Campidoglio was the ancient citadel, the core of Imperial Rome, the first Rome that is. There is an equestrian statue in the middle of the piazza portraying the anomaly of a philosopher-Emperor, Marcus Aurelius. But the architecture of the buildings surrounding the square belongs to the second Rome, the Renaissance Rome of the Popes. The square was in fact designed by none other than Michelangelo. The heads of states must have passed silently by that statue of Marcus Aurelius and then climbed the scalone Michelangelo in order to enter the great hall Sala degli Orazi e Curiazi, another throw back to ancient Rome. But here too, that “sala” is more Renaissance then ancient. Another irony: the Constitution, which makes no reference to Christianity, was actually signed under the prominent bronze statue of a Pope in full regalia and wearing his tiara (see photo above). And who pray was this Pope? None other than Innocent X, the last Pope of the Catholic counter-reformation. He is the one who wrote a bull of condemnation against the treaties of Westphalia in 1648 which, after thirty years of religious wars, declared the end of the so called “Sacred Roman Empire” and authorized religious freedom in Europe. Pope John-Paul II who had declared religious freedom as part of the Church Constitution in the 20th century was not as much as consulted or even mentioned at the ceremony; as if he lived on another planet somewhere. And for obvious reasons: he is the one who had been insisting that Christianity be acknowledged in the EU Constitution as one of the pillars of Western Civilization while honoring and keeping separation of Church and State and religious freedom. He was ignored just as his warning at the European parliament in 1988 was ignored, and the EU Constitution was signed in his face, so to speak, under the auspices of the goddess Europa and the goddess Iris (perhaps represented by Buttiglione, the rejected minister of Barroso’s EU Commission) and the vigilant watch of a reactionary Pope who condemned religious freedom in the 17th century. Dante must be turning in his grave in Ravenna at the sight of those strange ironies of history. The principal goal of the Project Tejaco is that of favoring the professional integration of immigrants to the EU in the places they work. The practical aim of the project is that of transferring and adopting the know how of theatrical pedagogy to companies to enhance the integration of immigrants and a inter-cultural dialogue. From a scientific view-point the Project Tejaco is based on the Doctoral dissertation of Dr. Maria Buccolo, a member of the University of Florence, and on projects effected by other partners such as the International Festival of the entrepreneurial theater as created by Beatrice Boquien of the CNAM of Nantes, of the text which she wrote on that theme, and the formative experience of CENEGO and the institute of Rumanian Education. The contributions of the various partners within the Project Tejaco have alllowed the raising of consciousness of various organizations for the use of theater methodologies and games within a company to confront their problems. --to experiment, adapt and evaluate the different results of the projects of theater and games as applied to specific cultures of the project and as regards the cretivity of the practices of formation which has been eriched from the geographical and historical perspective of the different methods of different countries: for that reason Italy was choses as the place for Theater-in-action, and the masks of the Comedy of Art, for France the forum theater, for Belgium the table games and for Romania the games of stalls. --to transfer those methods to enterprises, especially those places where there are problems of the Integration of immigrants. --to support the approval of the results of the preceding projects and of the experimentations for the ones who do the forming, more particularly the members of the Young Chamber of Commerce of the partner states who work within corporations and who have to confront the problems of integration and lack of manpower. --to give value to the experiences of each country and construct an inter-cultural offer of theater pedagogy of theater and game pedagogy. In the last analysis, the project Tejaco wants to show how at the European level, in each country, the methodology of the theater and of games has different characteristics ties to the socio-cultural matrix and how they represent a challenge to create a dialogue among the different subjects of a corporation or factory. The laboratory of “Competences of communication and valorization of the diversities within companies,” which was realized at the headquarters of the Industrial Model of Venice on the 12th and the 13th of March 2009, was an experiment conducted in Italy within the Project Tejaco for the transfer o the methodology of the forum theater. The Veneto region was chosen since, from the researches which were conducted it was the first region in Italy to have a great number of immigrant workers in companies of various sectors of the economy. We were dealing with a journey of exploration of the communication within companies with one of its principal objective the reflection on the diversity (culture, gender, age, etc.) present within the companies’ reality within a period of theatrical formation and the realization of segments within the methodology of the forum theater (TF). The TF had its origins toward the end of the 70s with the so called theater of the oppressed imagined by the Brasilian actor Augusto Boal, who went back to the pedagogical thought of Paulo Freire, and held that the oppressed could imagine and experiment his own emancipation thanks to the theater and that the viewers could also become actors thanks to the Forum. --The foundational phase has allowed the creation of the climate of the group and the expressive activation of the participants (trust, intimacy and collaboration). --The relational phase wherein were realized some games of knowing each other, break-down, contact, improvisation and narration of one’s life story. -- The creational phase wherein scenes were created and the theatrical creative process was put in motion. During this phase there were exploration for the creation of improvised scenes, organized thematically in different categories, emotions, situations, real roles, imagined roles. --The representational phase wherein what was produced during the formative period is staged. --The sharing phase wherein the entire formative stage of the day was reexamined from the participants, and the subjective experiences were staged and the positive and negative aspects emphasized. During the first phase the formative training was begun via individual and team oriented theatrical exercises in order to develop the communication competences and the group dynamism of a particular company, as well as arriving to an important reflection on the valorization of present diversities of the companies examined. The proposed games were at fundamentally the characteristics of the TF, which is to say cooperation, equality, solidarity and were useful simply to play, without falling in judgments of values, nor in competitive forms or commitments beyond the respect for the rules dictated by the play. The use of those games had as its principal objective the construction the group as an audience, that is to say as a group of persons within which the word is not only listened to, but also understood within a definite space of trust and solidarity. A second objective has involved the obtaining of integration on the part of the researchers and form-actors who were proposing the game from inside the group with which they were cooperating. Thus it was useful to the participants to experience the relationship of the group which was always agreeable, free, respectful, kind, since there was nothing to demonstrate, nothing to win, aside from the individual and collective pleasure in the play. All of this has led to the participants to the training to a real corporeal and emotive de-mechanization, to a de-ritualization of the relations within the group. After the initial formative training, the facilitators of the same led the group to the drawing of the play with the improvised dialogue and consequently the representation of small theatrical representations. They were related to the problematic of small representations related to diversity management and destined to being worked and analyzed through the forum within the context of a study of change. The scenes which were represented had a transitory and hypothetical characteristic in as much as they deal with a testing the possibility of solutions proposed by the public. This flexibility has allowed to the participants of confronting the challenge of change on one side of the coin and the resistance to change on the other side, between protagonist and antagonist, oppressor and oppressed. The three scenes which were constructed represent a conflict of at least one protagonist against the antagonist, looking at the conflict not as violence ma as opposition of two forces which contradict each other, antithetical in other words. The precise place where the action was developed were indicated together with the role of each actor. Those were essential for understanding well the scene being represented. Those situations were not simply denunciations or findings, but open dynamics toward a will to change, of alternative direction, of modification of things. It always dealt with situations which in offering a vision of the world which was not agreeable because it stressed obstacles to change, were transformed, thus opening itself up to the analysis of the forum which attempted to answer questions such as “How to do this for?” Thus titled were given to the scenes which allowed to be precisely describe the point of view of what was staged or to insert a bit of humor within a serious problem. 1. The new arrival—What to do so as not to exclude oneself. 2. That awful boss—What to do to have my rights respected. 3. My idea—What to do to let one’s talents emerge. Each group had the possibility of reflecting autonomously on the theme of diversity, to chose and construct a story, to individuate the roles to assign to the various components, identifying precisely the kinds of conflicts to be staged. The scenes thus constructed did not represent true theatrical representations in as much as they had to simply represent a situation of conflict in as clear and precise manner as possible, hence they did not necessitate a particular setting. The scenes were so constructed so that the viewers were tempted to intervene, to mobilize themselves, to sympathize, imagining how things could be changed, thus arriving at the possibility of changing oneself and one’s point of view. The spectators were in fact invited to participate personally to effectuate an alternative change. Once on the stage, each spectator-actor came in contact with his/her proposal of change and could experience how it developed and what could be the consequences. Finally, those interventions were always filmed and resumed by the director to establish their consequences, always looking for a consensus even among the spectators which had not intervened. This questioning of the spectators on possible alternatives was necessary to understand if further consequences were considered possible, probable and desirable. The contributions of the various partners of the Project Tejaco have allowed for the discovery of a theater presentation and the awareness of organization to the utilizing of methodologies of the theater and of games in a company in order to resolve various problems. --Experiment, adapt and evaluate the different results of the theater and game projects to the specific cultures of the partner countries. --To transfer these innovative methods to various enterprises, especially where there are problems of integration of immigrants. --To support the approval of the results of previous projects and the experimentations of formation scenes, in particular the members of the young Chamber of Commerce of partner countries who work in compagnie and are challenged with problems of integration and lack of Manpower. --To appreciate the experience of each country and construct an inter-cultural offering of theater pedagogy. In the final analysis the Project Tejaco wishes to demonstrate that at a European level the methodology of the theater and of the playing of games in each country represents different characteristic tied to the socio-cultural matrix of each country, and how they represent a challenge to create a dialogue among the different groups of a company. Thanks to the opportunities offered by this project we hope to be able to reach after two years of experimentation the goals that we have set for ourselves: to recognize the methodology of the “Enterprise of the theater as a “good practice” of company’s formation at the European level exactly because of the pedagogical contribution it offers. Within multicultural societies which become ever more complex, the theater formation must therefore acquire the inter-cultural competencies which allow us to live together, despite our differences. Buccolo M., Mongili S., Tonon E., Teatro e Formazione. Teorie e pratiche di Pedagogia Teatrale nei contesti formativi, Franco Angeli, Milano 2012. 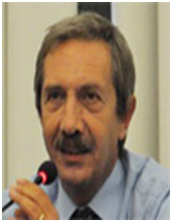 Buccolo M. Orefice P. (a cura di), Il Teatro e la Ricerca Azione Partecipativa per lo sviluppo dei saperi della diversità nei contesti aziendali. Il Progetto Europeo TEJACO - Il Teatro e il gioco per favorire il cambiamento nelle organizzazioni, CD&V Editore, www.cdev.it, 2012. Buccolo M., Mongili S., Napolitano S., Manuale per Form-attori. Strumenti pratici per-formare nelle organizzazioni, Dino Audino Editore, Roma 2013 .